Sai has one ambition and that is to find a way to manifest the subtle explosion of life within her. Little did she know that her crush on music and the English language during her school days would eventually blossom into a full blown love affair. 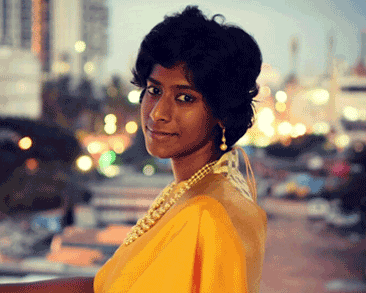 Albeit an MBA in marketing, she also wishes to be recognised for her creative expression. She has, hence, decided to groom herself as a writer, singer, music composer and lyricist. If you think she appears calm and composed, she has got you fooled. She is an adrenaline junkie. From scuba diving to sky diving, she has tried them all. She is also an avid traveller, which has opened her mind to new experiences, ideas and cultures. A devotee of Ayn Rand and an agnostic until now, she has finally taken the first step to understand and explore spirituality. Stay tuned because she is bound to keep adding more feathers to her cap. Learning, and learning alone, is her sole life purpose.